Twinkle twinkle little star - matches our pearl bracelets with the same star charm. Delicate chain measures approximately 18 inches long. 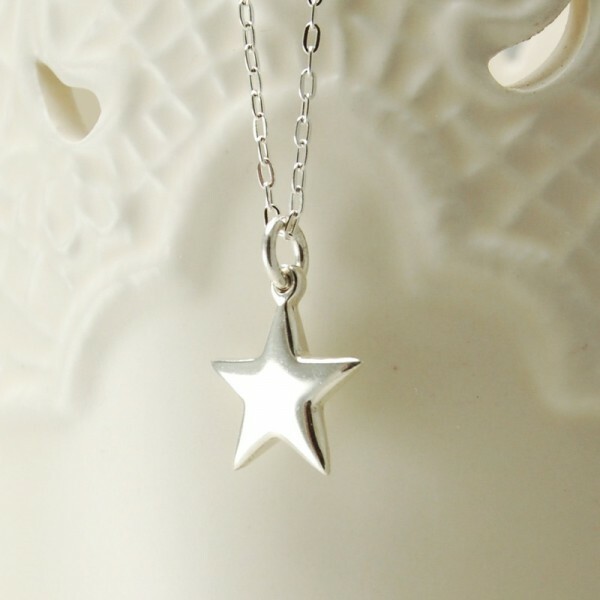 Beautiful necklace, already very popular. Matching items available. Highly polished silver. We also have star shaped cufflinks for his and hers present ideas.